Many a classical poet has been drawn to captivating Lake Garda; in fact, 7 per cent of all tourists (poets or not!) in Italy make for the lake’s windy shores in the north and the sleepier villages and vineyards in the south. Surrounded by the three very different regions of Trentino Alto-Adige, Lombardy and the Veneto, the lake’s cultural diversity attracts a fittingly varied crowd. Lake Garda’s narrow northern tip is edged with the jagged Altogarda Mountains which once formed the border between Italy and Austria. This is where adventurous visitors come to enjoy windsurfing, paragliding, mountain walking and climbing. At the southern end, Lake Garda’s character turns to crystalline Nordic-style fjord and is favoured by relaxed Italian and French families who stay in Valtenesi farmhouses or the family-friendly spa towns of Bardolino and Sirmione. The impressive Rock of Minerva juts out into the lake just north of Moniga del Garda. The park contains the remaining rubble walls of a medieval castle, now a restful nature reserve filled with orchid meadows, evergreen woods and hiking trails, along with some magnificent lake beaches. Take a stroll from Pieve Vecchia to Porto del Torchio via Punta del Rio to take in the picturesque views, stopping off for a paddle or a dip. This splendid waterfall is something to behold: one hundred metres of cascading water thunders down the sheer limestone cliffs which line an immense gorge. Spray-soaked walkways wind down into the mountainside alongside the crashing torrents. Strolling along them is possibly like walking in a perpetual thunderstorm. You will find Cascata del Varone signposted about three kilometres northwest of the centre of Riva. Amongst Sirmione’s blessings is a series of offshore thermal springs pumping out water at a natural 37 degrees centigrade. 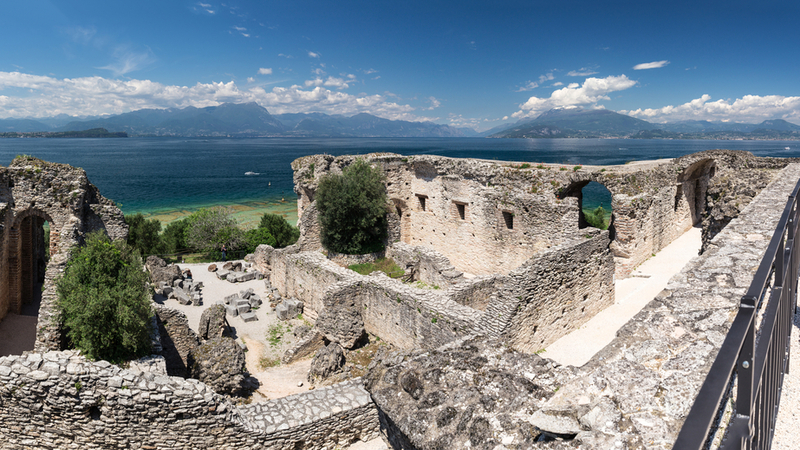 Discovered in the late 1800s, Sirmione has been making good use of their healing properties ever since. Wallow in two thermal pools at the spa – the outdoor one is set picturesquely on the shores of the lake. Book in advance for treatments such as thermal massages and mud baths; however, just turn up for a dip in the pools – bring a swim suit and you’ll be provided with a swimming cap, towel and bathrobe. 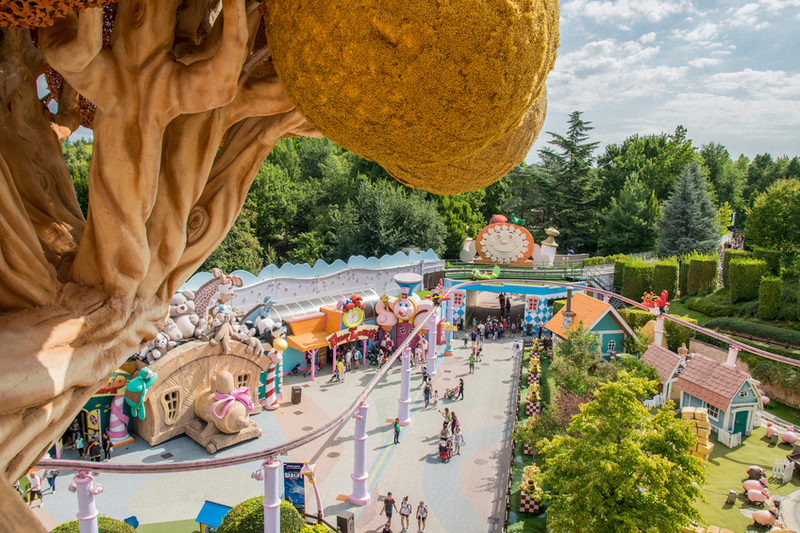 If you’re travelling with kids or fun-loving adults, don’t miss this huge theme park. The vast amusement park comprises Gardaland, Gardaland Sea-Life and the Gardaland Hotel and sits adjacent to Lake Garda. Covering an area of 445,000 square metres, you will find both traditional attractions and entertainment shows which have earned it Forbes Magazine’s rank of fifth in the top ten amusement parks in the world. A mild climate has helped make this peaceful botanical garden a huge success. Artist, André Heller’s wonderful landscape was first laid out in 1912 and it’s brimming with exotic blooms which are distributed amid mini climate zones. Here you’ll find diverse plant species – from the Central American plains to African Savannah – including swathes of tulips and bamboo which are connected by winding paths. Playful touches hide within the greenery, including several pieces of contemporary sculpture – don’t miss the jagged red figure by Keith Haring near the entrance, and Roy Lichtenstein’s polka-dotted pyramid. This ruined 1st-century AD Roman villa is picturesque with its three stories of teetering stone arches and tumbledown walls. As the largest domestic Roman villa in northern Italy, it’s not only of interest to wander around, the views of the surrounding terraced hillsides to the sea are breath-taking. Significantly, the living quarters were situated on the top floor, offering 360-degree views so the Romans, it seems, also liked a room with a view. Monte Baldo is the highest of all Lake Garda’s mountains and its 40 kilometre ridge runs along the north east shore of the lake. For many visitors, hiking, skiing or paragliding are musts on Monte Baldo, as is a cable car ride up to its summit from Malcesine. Diverse nature, fresh air and stunning views make for endless photo opportunities and memories to last long after you return home.